Cheryl Miller and Heather Lewis are moms who want their kids to learn something in every situation – even in the car on the way to after-school activities. But when they bought educational CDs to play on the way to skating and drum lessons, the women found them lacking. “They were monotonous and the kids would never listen to them,” Miller added. 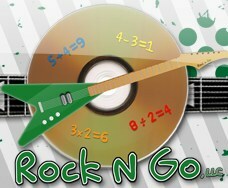 So, the Williamston moms came up with their own alternative, starting Rock N Go LLC three years ago. Together, they have produced a line of educational music CDs that encompass such musical genres as punk, blues and reggae that come with workbooks and materials for kids to enjoy in the car. The CD packages have covered counting, addition, subtraction, drawing and watercolor painting. And they’ve caught the attention of the National Parenting Center in Woodland Hills, Calif., which has given the “So Skip Counting” CD and workbook kit its 2009 Seal of Approval. Miller and Lewis recently received Henderson, Nev.-based Creative Child magazine’s Seal of Excellence award for 2009. Miller and Lewis also have an online store at their Web site, www.rockng olive.com. You can buy the CDs separately for $9.99, or purchase single songs on iTunes.